Excitement surrounding niche Olympic event is brewing in China ahead of Rio, despite limited screen time. Chinese fans of one of the Olympics’ less mainstream sporting events are set to revel in a once-every-four-years opportunity that will lift their favorites to the international arena, as the 2016 Olympics in Rio de Janeiro kick off on Friday. On microblog platform Weibo, enthusiasts of racewalking — walking very fast for a very long time — are congregating in a fan group dedicated to Chinese competitor Chen Ding. Unlike most fan groups, this one has been set up by Chen himself, who will be walking in Rio this month to defend the 20-kilometer gold medal he won four years ago in London. To keep membership levels at a manageable level, the group is by invitation only — as of Thursday the number of members stood at 276. Twenty-two-year-old accountant Dai Jie is one of them. “I love the spirit of persevering and never giving up,” she told Sixth Tone. Chen will be up against fierce competition, not least from his compatriots. 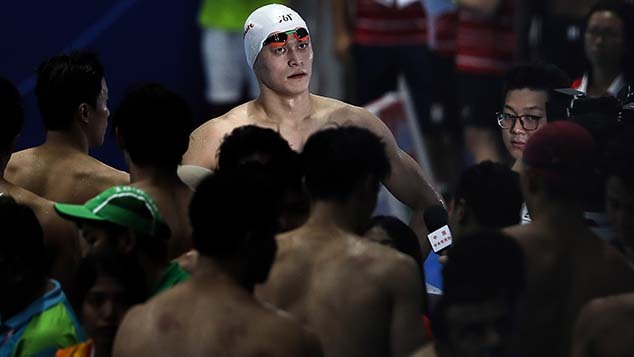 Slated by sports data analyzer Gracenote to win the men’s 20-kilometer gold is 24-year-old Wang Zhen. Gracenote also predicts success for China in the women’s 20-kilometer event, with world record holder Liu Hong, 29, expected to clinch gold. Compared to other long-distance athletic events such as marathon, racewalking lags far behind in both popularity and media coverage. But the event’s fan base surged after Chen's historic breakthrough. 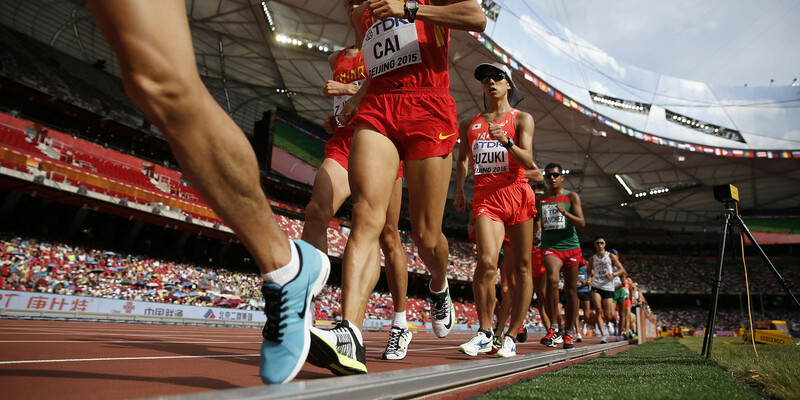 “Currently, there must be many more racewalking enthusiasts than there were in previous years,” said 24-year-old He Qin, a racewalker from China’s eastern Jiangsu province. He, who in 2013 won the national championship in the women’s 20-kilometer race, believes that the sport’s rising popularity is due in large part to its accessibility. “It’s relatively easy if people want to be amateur racewalkers,” she said. 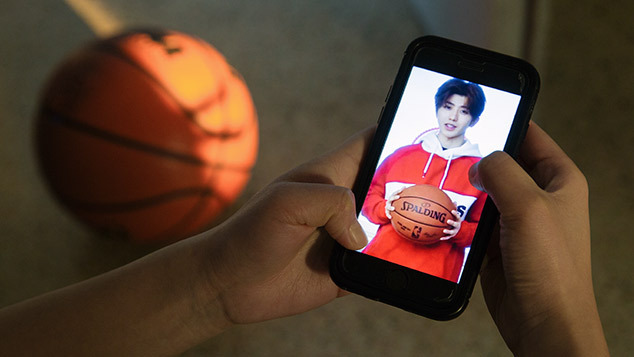 Chen is one of a national team of 12 athletes who will set out on the quest for Olympic gold over three events: men’s and women’s 20-kilometer walks, and men’s 50-kilometer walk, according to the Chinese Athletics Association. A total of 416 Chinese athletes will compete in 210 events, including racewalking, in the Rio 2016 Olympics, according to Chinese Olympic Committee. Dai said she would follow all of the three Olympic racewalking events live on TV despite the awkward time difference: Both 20-kilometer events will be broadcast at 1:30 in the morning, Beijing time. Dai’s dedication is perhaps not surprising, seeing how rarely the event is given screen time on Chinese television. “Besides the Olympics and World Athletics Championships, I don’t know of any other opportunities to watch walking races,” she said.